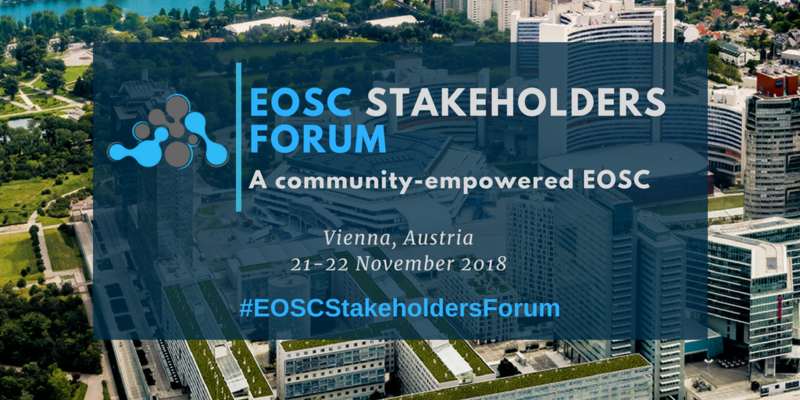 The EOSCpilot's second and final installment of the European Open Science Clous (EOSC) Stakeholders Forum 2018 will be held from 21-22 November 2018 at the Austria Center Vienna. Opening the event will be EOSCpilot Coordinator Juan Bicarregui. Following his welcome address will be keynotes on the EOSC Roadmap and its implementation as well as views from the Austrian Presidency. On the 2nd day of the event, European Commission Directorate-General for Research and Innovation Director, Dir.B, Open Science and Open Innovation Jean-David Malo will also be delivering a keynote presentation followed by presentations from a number of EOSC-related projects such as EOSC-hub, OpenAire-Advance, FREYA, eInfraCentral, RDA as well as EOSC Infra-cluster projects such as SSHOC and ESCAPE. The event will also feature a panel discussion on EOSC in Practice stories that aim to show the experiences of the pioneers that have tested the viability of an EOSC for their specific fields of study. This year's installation will feature two tracks - one concentrating on EOSC Early Adopters featuring science demonstrators and the other on the the six key action lines in the development of the EOSC, specifically architecture, data, services, access and interface, rules and governance. There will be dedicated sessions for demonstrators, posters and networking.